Bester’s back! Just in time for a thrilling police procedural…er, no. 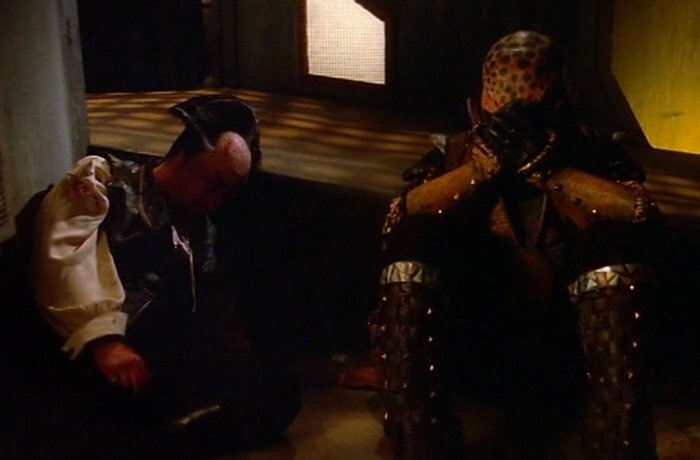 Because the telepathic drug plot is just the means to an end: a wholly unexpected and powerful confrontation between Londo and G’Kar. Is the episode really All That? With G’Kar screaming “All of it!” inside Londo’s mind, does it have to be?